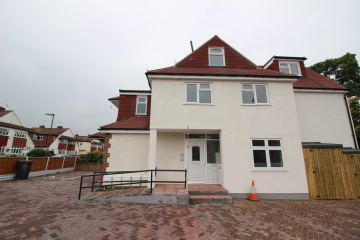 Connor Prince are please to offer this newly constructed and converted one double bedroom flat with an open plan living room/kitchen with appliances and a white bathroom suite. 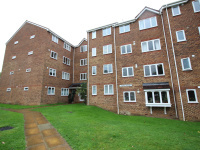 Situated in a residential road within half a mile of Tolworth Broadways railway station and the A3 which connects you to London and the M25. Video entryphone, wood flooring, cupboard housing gas central heating boiler. Fitted with a range of high and low level cupboards and drawers, working top surfaces with inset sink unit with mixer tap, built in four ring gas hob with extractor hood above, electric oven below, integrated washing machine, wood flooring, double glazed window, double radiator. Wood flooring, double glazed window, double radiator. White suite comprising panel enclosed bath with mixer tap and shower attachment, wash hand basin with mixer tap, concealed system w.c. tiled flooring, double glazed frosted window. Situated to the rear mainly laid to lawn in a westerly direction.